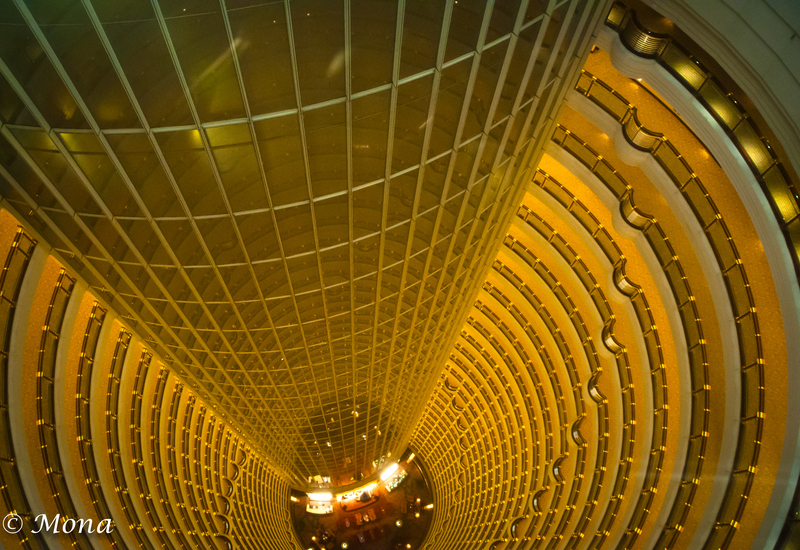 The center of the Jinmao Tower 88 dizzying floors above the lobby of Grand Hyatt. 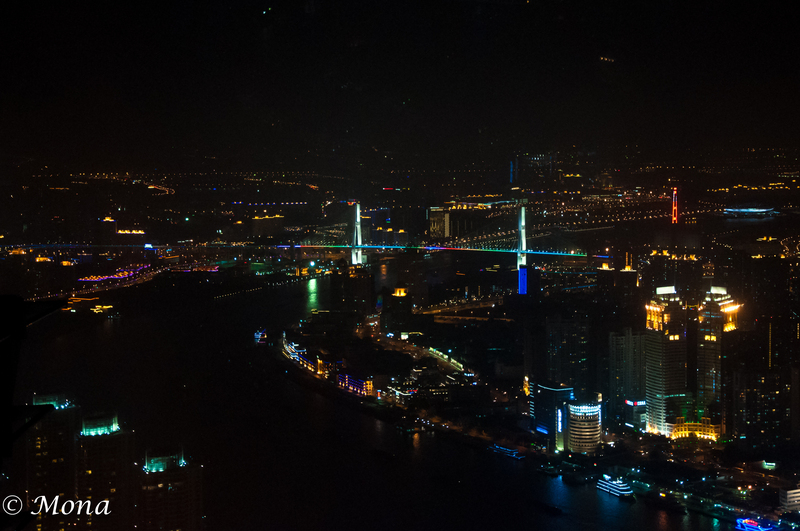 Shanghai and the Huangpu River are ablaze in light & color every night. Wow looking down is awesome! Great shot. It makes me dizzy! My knees were weak and I was convinced that I would soar to my death, but we were enclosed by such thick glass it was actually difficult to get a shot. These images do not do it justice. I wish I had had my tripod so that I could get a better exposure and sharper images…..However, these are fun and bring back good memories. Wow Mona! That is perfect for the “Down” Challenge! Beautiful, vertiginous shot! Oh wow! That first picture is just amazing. I like the other one too, but the first one really has the wow factor. well done! Thank you, Inga. I really like your comment. Thank you. It’s funny because It’s been sitting there for 3/4 of a year. I never gave much to the shot until looking for something to meet the weekly theme (down). I’ve been surprised at the reaction it’s gotten. What a great place to launch a paper airplane…wonderful picture! Wouldn’t that be fun? Thank you. Are you still in China? It looks like you had a great time! If you are here or are coming back message me and we can go on a photo adventure together :). Thanks for your visit to my blog, Ni Hao Shanghai. I love your pictures and will be back to see your further adventures!